Donald Harvey, a serial killer who became known as the "Angel of Death." Harvey, who was serving multiple life sentences, was found beaten in his cell Tuesday, March 28, 2017. TOLEDO, Ohio -- A former nurse's aide known as the "Angel of Death" after he admitted killing three dozen hospital patients in Ohio and Kentucky died Thursday, two days after he was attacked and beaten in his prison cell. Donald Harvey, who was serving multiple life sentences, was found injured in his cell Tuesday afternoon at the state prison in Toledo, officials said. He was 64. While details about the attack weren't released, he was beaten when an unnamed person went into his cell, a patrol report said. Harvey pleaded guilty in 1987 to killing 37 people, mostly while he worked as a nurse's aide at hospitals in Cincinnati and London, Kentucky. He later claimed he was responsible for killing 18 others while working at the Veterans Administration Medical Center in Cincinnati. He told his former attorney the killings began in 1970 when was at Marymount Hospital in Kentucky. Many of his victims were chronically ill patients and he claimed he was trying to end their suffering. Harvey used arsenic and cyanide to poison most of his victims, often putting it in the hospital food he served them, prosecutors said. Some of the patients were suffocated when he let their oxygen tanks run out. Twenty-one of the people Harvey killed were patients at the former Drake Memorial Hospital in Cincinnati, where he worked as a nurse's assistant. He was caught after a medical examiner smelled cyanide while performing an autopsy on a victim. 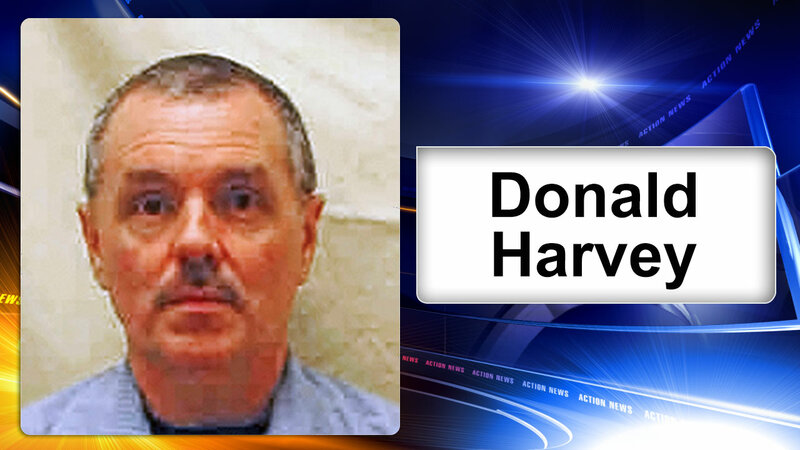 Harvey told a newspaper after he pleaded guilty to avoid the death penalty that he liked the control of determining who lived and died. Former Hamilton County Prosecutor Arthur Ney Jr. who prosecuted the cases in Cincinnati said Harvey was not a mercy killer. "He killed because he liked to kill," Ney said.